I made this card on Monday, and with all the anniversary blog posts I almost forgot to post it!! Talk about under the wire!! 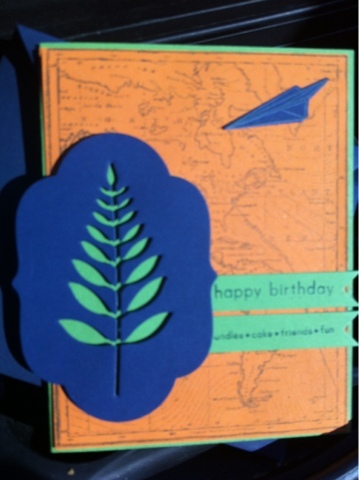 The leaf die cut is memory box. Also, the bright colours were just freaking my camera out but it's a dark navy, orange zest and new leaf. What a great look. Those colors really light up the card and your composition. Wonderful. I just slipped under the wire too. 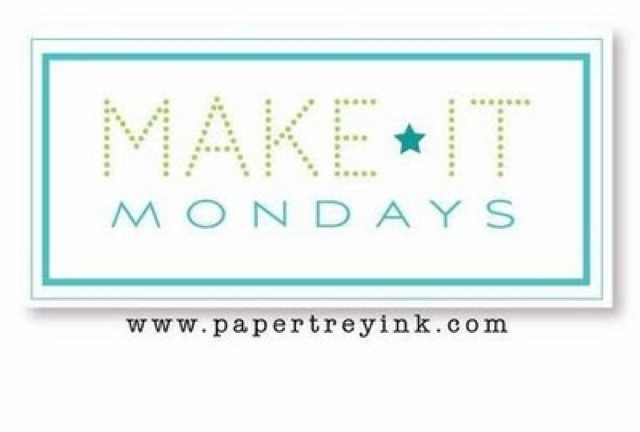 (Not the best way if you like to be well seen, but there is too much good stuff going on over at Papertrey.) Good luck if you joined in any of the contests, and thanks for getting this in under the wire. It truly is a stunning card. Fun, fun, fun. 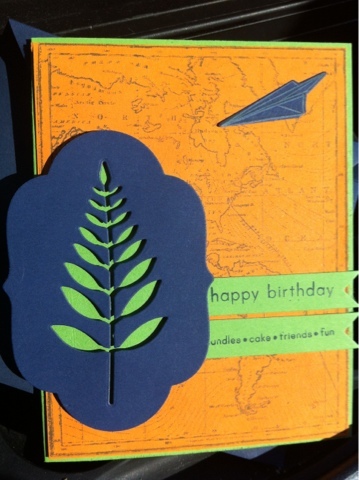 Love the look of those die cut leaves layered over that map.